The American group The Fantastics used to be known as The Velours, but changed the name in 1968 and moved to the UK to try their luck in a soul boom there. Their version of this number was released in late 1971 (probably November) on Bell 45157 (or just 157) and on Bell 1202. The songwriting team responsible for the number is almost a pesonification of late-1960s - early-1970s UK pop. Together or separately, they wrote hits for acts such as The Foundations, Long John Baldry, The Hollies, The New Seekers, and many, many more. Indeed, Greenaway and Cook themselves recorded numerous hits under numerous pseudonymns, either as a duo (e.g. David and Jonathan) or as the basis of a group (e.g. White Plains). 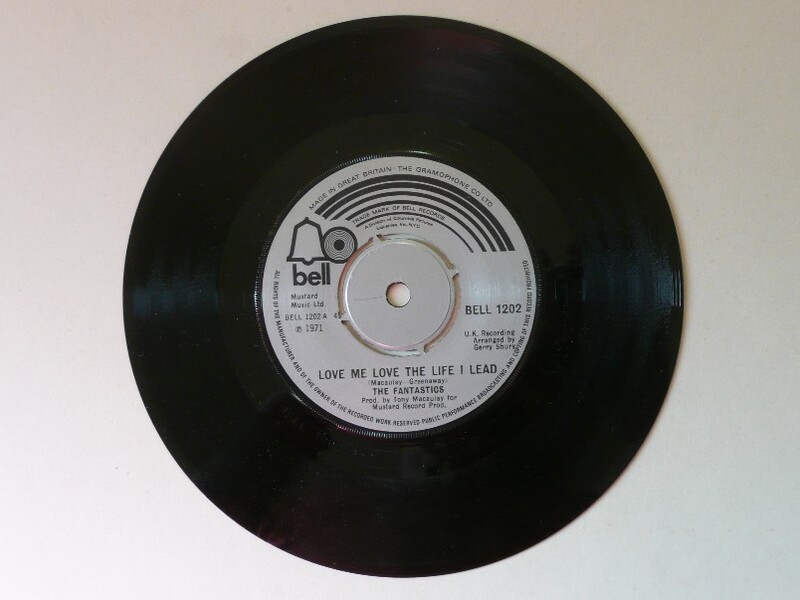 Roger Greenaway sent a demo of "Love Me, Love The Life I Lead" (made by The Drifters!) to Elvis, but confirms that The Fantastics were responsible for the first commercial recording.